My coaching philosophy is using athlete centered focus to guide, mentor and develop a well rounded training plan that will allow an athlete to have balance in their life. I am providing customized training plans, 1:1 training, group training, swim, bike and run instruction, and testing and analysis. 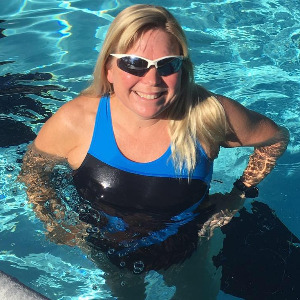 I started coaching swimming in 1983 and started competing in triathlons in 1986. I have qualified for the USAT Olympic Distance National Championship the last 6 years in a row. Athletes need to be ready to give it their best effort and have fun while training. Success. Coach Mia Erickson Stevens has been notified of your message.